Every industry has different priorities on social media. For personal care brands, community building is crucial. The interactive nature of social media serves this need better than conventional media. However, personal care brands need a solid social media strategy to achieve this goal. In this article, we evaluate how successful top personal care brands in North America were in this regard. 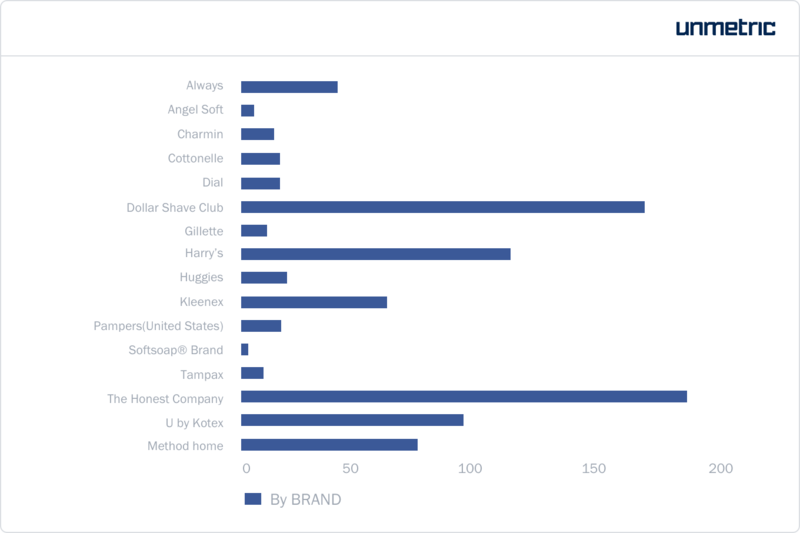 The brands analyzed here include Always, Angel Soft, Charmin, Cottonelle, Dial, Dollar Shave Club, Gillette, Harry’s, Huggies, Kleenex, Kotex, Method, Softsoap and The Honest Company. Even with the newer networks like Snapchat and Instagram gaining popularity, Facebook is still crucial for brands. 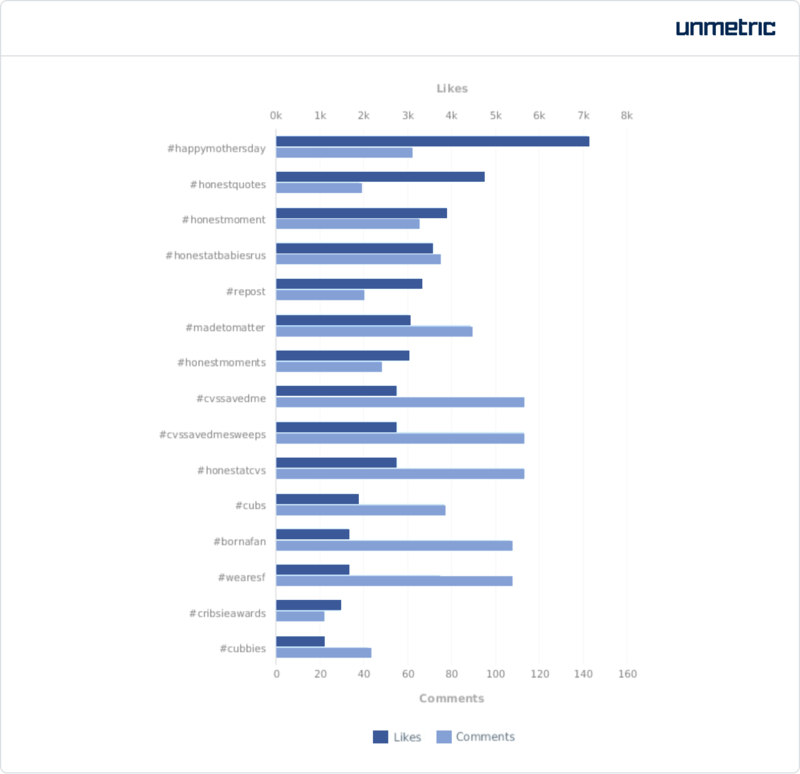 Find out how well these personal care brands engaged their audience on Facebook and explore possible reasons why they did so well. 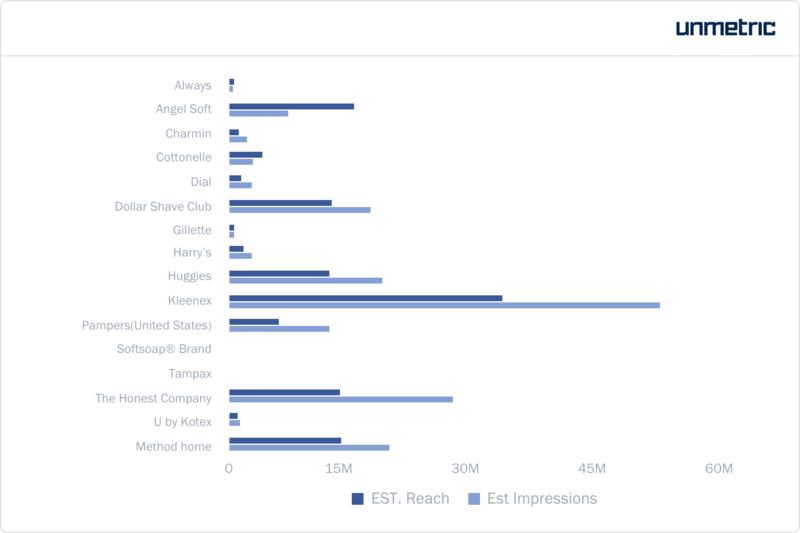 Angel Soft takes the lead in average engagement. However, if you were to consider total engagement, Kleenex comes out on top. This is because of the difference in posting frequency. The brands studied here typically posted around 60 times in the period studied. 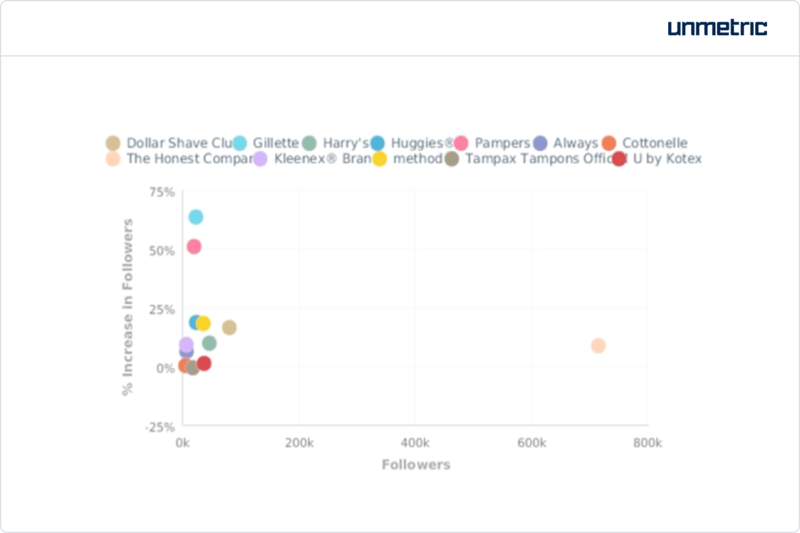 The Honest Company posted the most (180), followed by The Dollar Shave Club (159). Angel Soft (6) and Softsoap (2) had a very low post count. (It’s possible that Angel Soft and Softsoap publish ‘dark posts’ via the Facebook ads platform which inserts their content into users’ timelines but doesn’t show up on the brand’s Facebook page). Such a large gulf in posting frequency makes it difficult to base engagement on average interactions alone (the larger the denominator, the smaller the fraction). Kleenex however, stands ahead of the pack by securing great engagement without posting too much. The brands studied here were likely to promote around 30% of all their content. 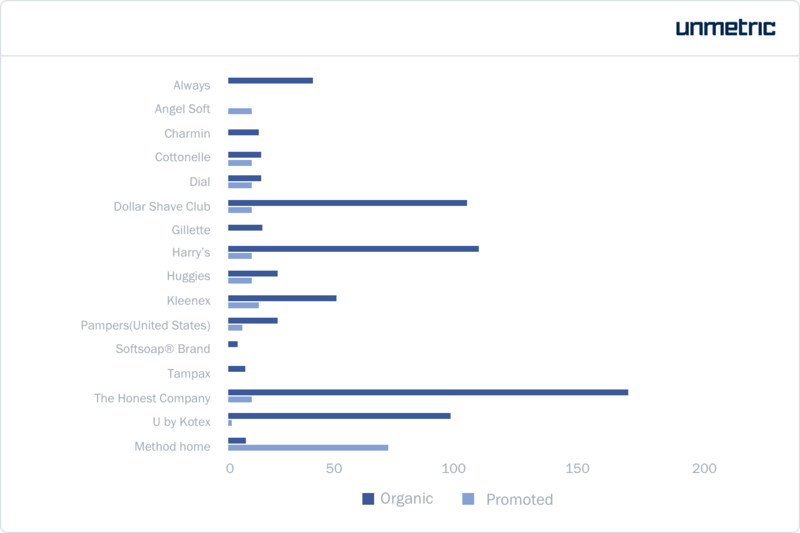 Some brands like Charmin, Always, Softsoap and Gillette banked solely on organic content. 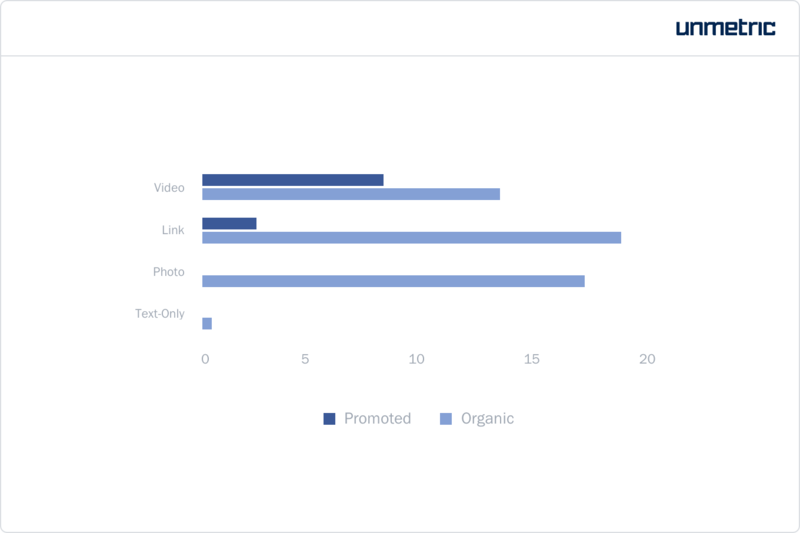 Others like Method (85%) promoted a sizeable chunk of all their posts. Kleenex has benefitted the most from boosting their content. The small percentage of content they’ve promoted has yielded them great returns. By designing an efficient promotion strategy, Kleenex manages to get the most eyeballs on Facebook. Yet, it is not enough that every brand arrives at an estimate of the optimum percentage of content that has to be boosted. It is imperative that they decide which posts to promote. 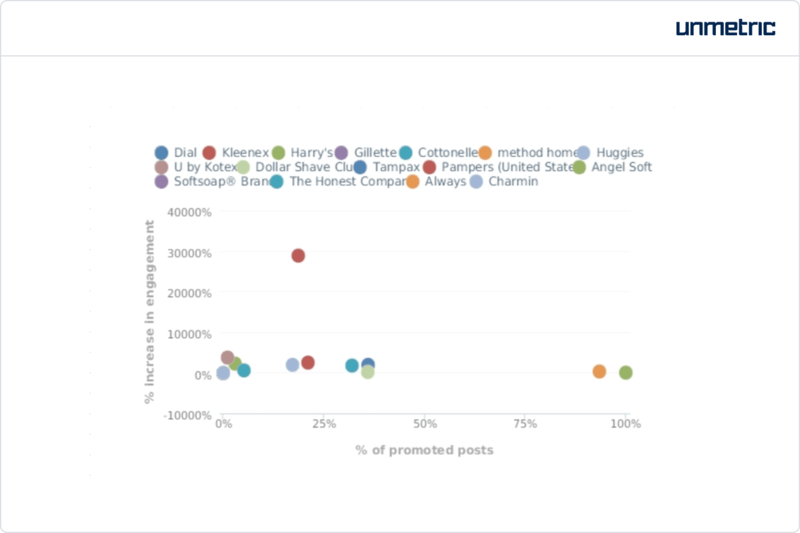 To understand more about how promotion figures in their social media strategy, let us take a look at the top posts. These videos are part of a larger campaign run by the brand ‘#ShareKleenexCare’. As part of this, the brand ran features of random acts of caring that make a difference. Rather than talking about their product, these videos address the theme of caring. By doing so, they build a strong association with their brand and the act of caring. Story-telling as a strategy is crucial to social media success. The use of video content facilitates this. Over 80% of the posts that were published as part of this campaign during this time period were videos. This allows the brand to capture the attention of their audience. However, great story-telling and visuals can fail to meet their objectives if it does not reach a wide audience. 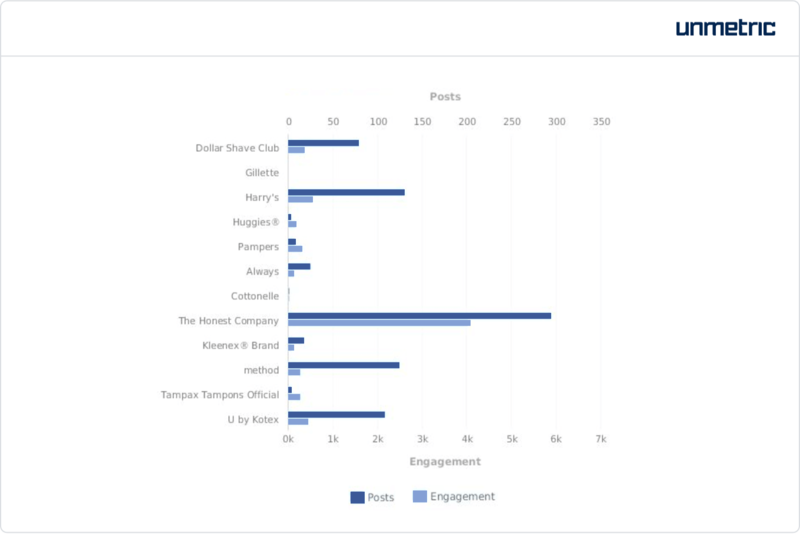 In order to ensure that their content gets a good reach, Kleenex promoted over 50% of all their posts around the #ShareKleenexCare campaign. If you were to take a look at all the posts that were promoted by Kleenex, you’d see that more than half are videos that are part of this campaign. Other than that, the brand also boosted links to purchase pages and a video that showcased their new tissue box designs. 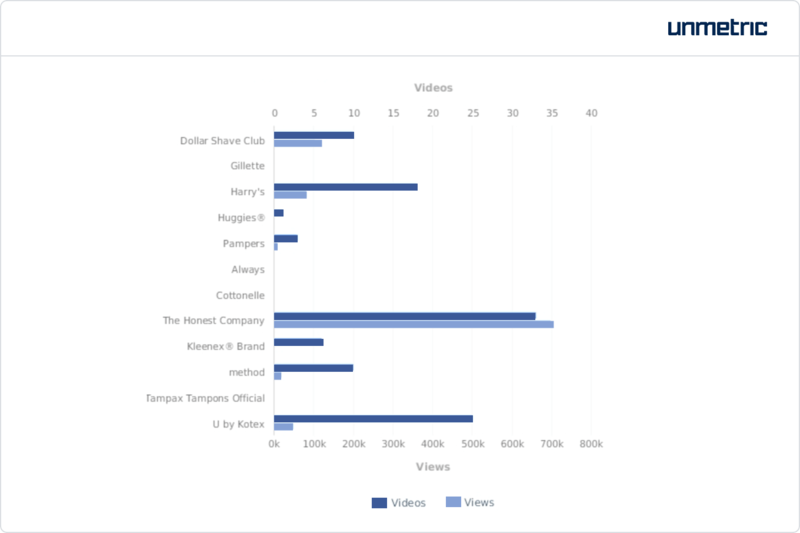 As you can see, Kleenex outperforms the others in terms of video views. Quite like their promotion strategy, the brand banks on quality of content to get the most out of a handful of excellent content. The way personal care brands use Twitter differs significantly from how they use Facebook. For one, they post a lot more on Twitter. While on average, each brand published 55 posts on Facebook, they’d tweet 144 times. 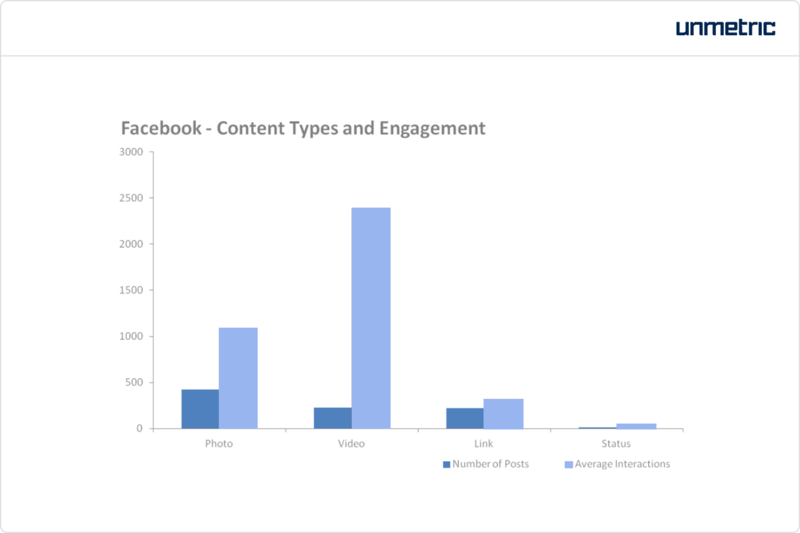 However, brands receive better engagement on Facebook compared to Twitter. On Facebook brands typically got around 1,200 interactions. On Twitter, this was a meager 25. Due to the chronological nature (as opposed to the Facebook NewsFeed algorithm for instance) of Twitter, tweets can have a lifespan of minutes before they are buried. 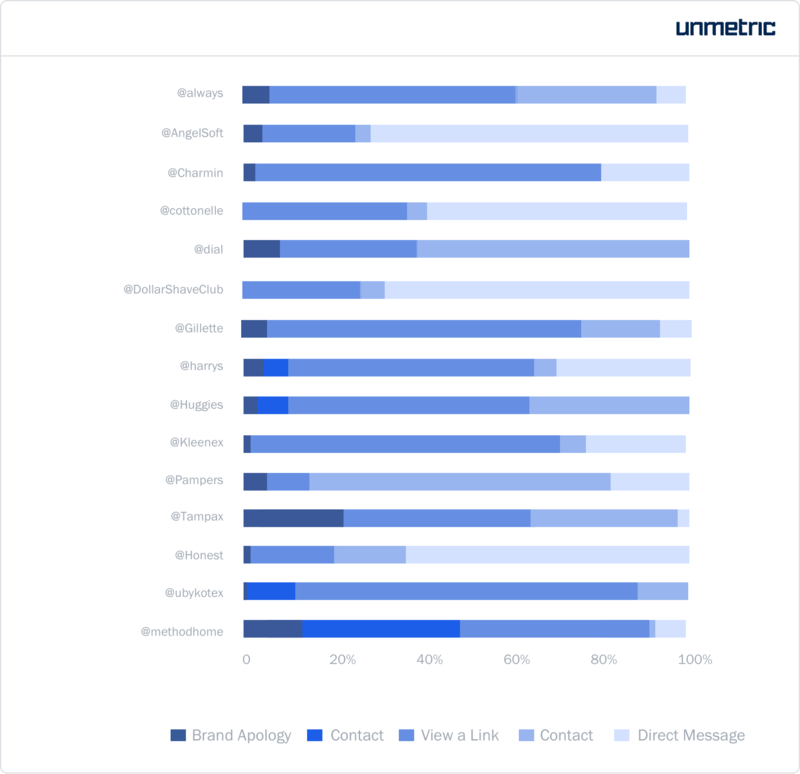 Diligent responses to customer complaints and queries make a brand look good on social media. It is not enough that brands respond to most of the user tweets that they get, but they have to do it as fast as possible too. 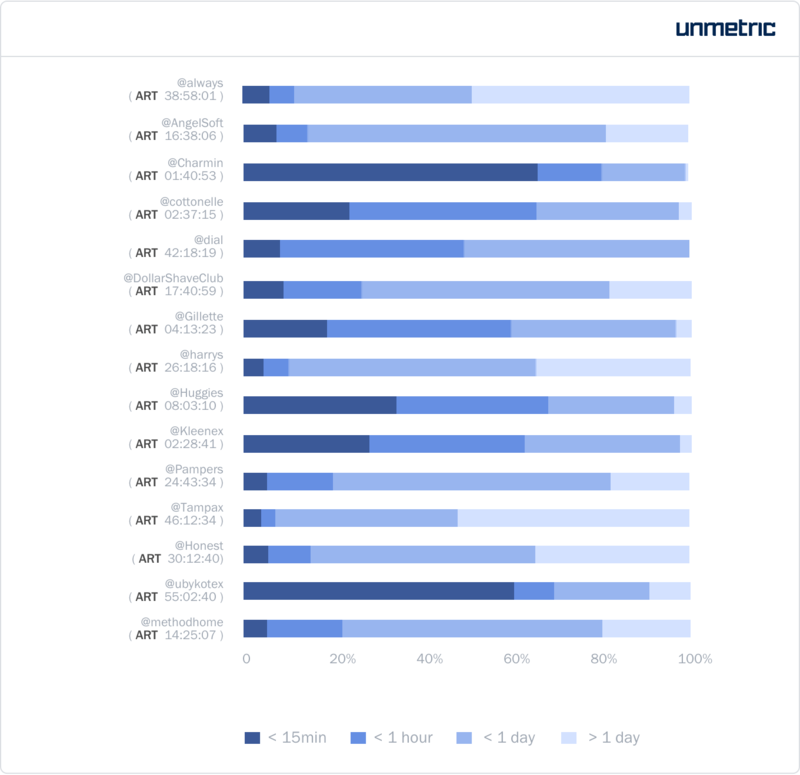 In the following chart, you can see where each brand stands in terms of reply time and response rate. 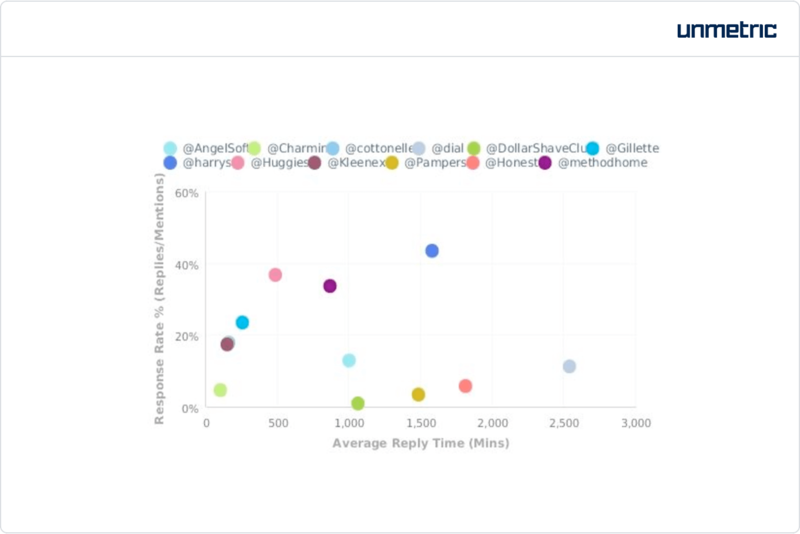 Harry’s had the highest response rate by replying to over 40% of all the mentions they received. Charmin had the best average reply time. They were likely to respond to a tweet in 1 hour 40 minutes. If you look at the chart below, you will see that Charmin, U by Kotex and Huggies serviced most of their user tweets within 15 minutes. Most other brands would get back to a tweet in less than a day. What brands respond with is equally important as a quick response time. Apart from plain text replies, the brands studied here were most likely to ask users to view a link. This can lead them to a page on their website which contains more information about a particular product or to one where they can purchase a product, register a complaint etc. Twitter is not just a medium where brands can deal with customer complaints and questions. Brands have to formulate a solid content strategy that suits the nature of this platform. 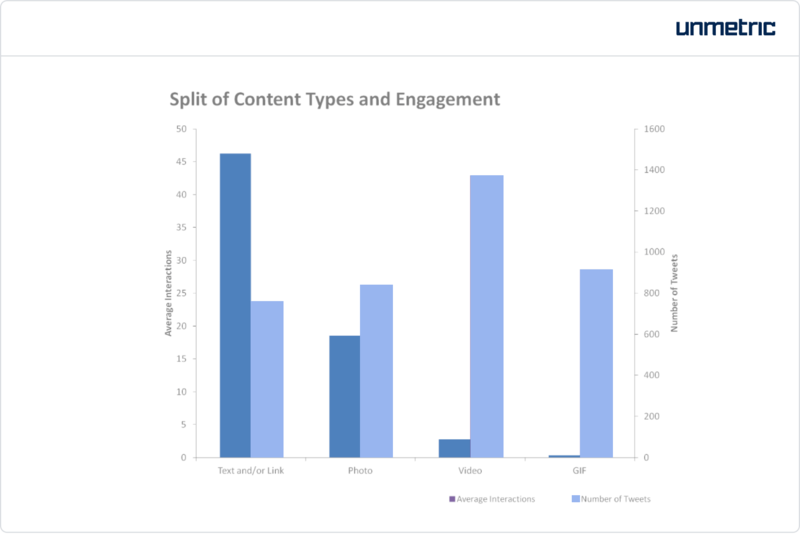 Apart from the differences in posting frequency and average interactions, one major difference is the split of various content types used. From the chart below, it is evident that tweets that contain plain text with or without a link are the most used. This is in stark contrast to the composition of Facebook posts. This GIF by Charmin clinched the most number of likes and retweets. A key reason why this performed so well was because it was a Twitter ad. This implies that it had a greater reach due to a paid push, and thereby, better engagement. Gillette received the most number of replies on a single tweet by joining in on the conversation around Superbowl 2017. Adding a contest twist to their tweet, they gave their audience an incentive to interact with their content. Another way brands can bring in more engagement is by tapping into influencers and celebrities. Huggies did just that by roping in Michael Phelps to promote their disposable swimpants, Little Swimmers. 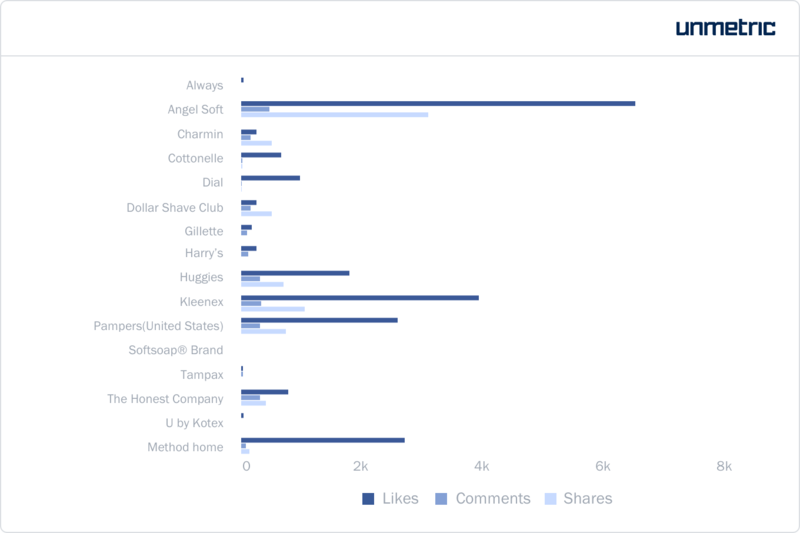 Charmin topped the charts in total likes received, while Gillette amassed the most replies and The Honest Company the most shares. 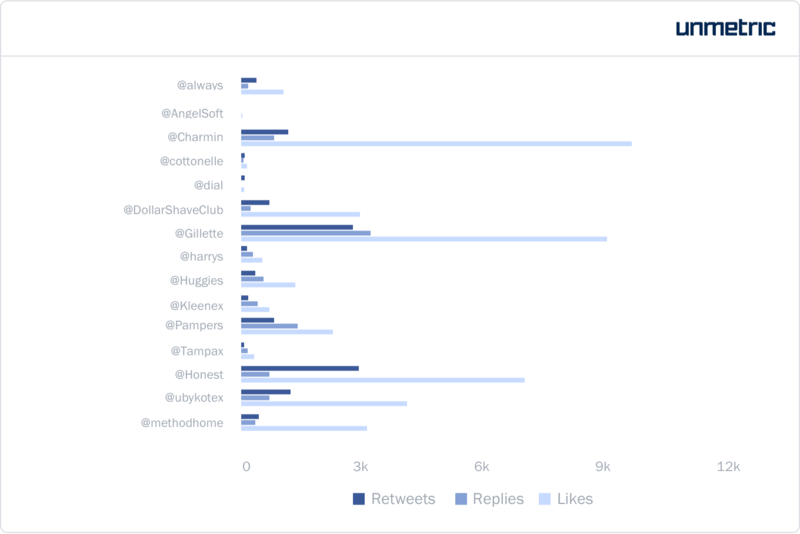 Gillette’s high reply count is on account of the contest they ran coupled with the large number of tweets they published. Similarly, Charmin was able to notch up 2,135 retweets even though they only had a fifth of The Honest Company’s tweet count. Charmin owes 60% of all these retweets to ads they ran on Twitter. How people perceive your brand depends on your interactions with them. Respond promptly and precisely. Use Twitter ads to get your audience’s attention about new products, exciting offers or to spark conversations around a new ad that you’ve put a lot of effort into. Analyze content types and topics that interest your audience and strive to provide a value-add with every piece of content. Instagram offers brands the capability to visually communicate their brand personality. By using images and videos, they can communicate who they are as a brand and speak to their target audience. A good example of this is The Honest Company. It is the most engaging brand of the ones studied in this report on Instagram. How does The Honest Company win engagement on Instagram? The Honest Company has a tendency to publish a lot of content on all social media networks. While this did not really translate into engagement on other platforms, it seems to have paid off on Instagram. However, it is not just about quantity as much as how relevant their content is to their audience. The Honest Company’s success on the platform is largely because they understand their audience. They have anchored their content around honest moments like this, which speak to their target audience. This is apparent if you look at their top performing hashtags, most of which center around the theme of honesty. Most of these posts carry a quote that addresses parenting worries and dilemmas. This way, they win points by being sympathetic to their audience. 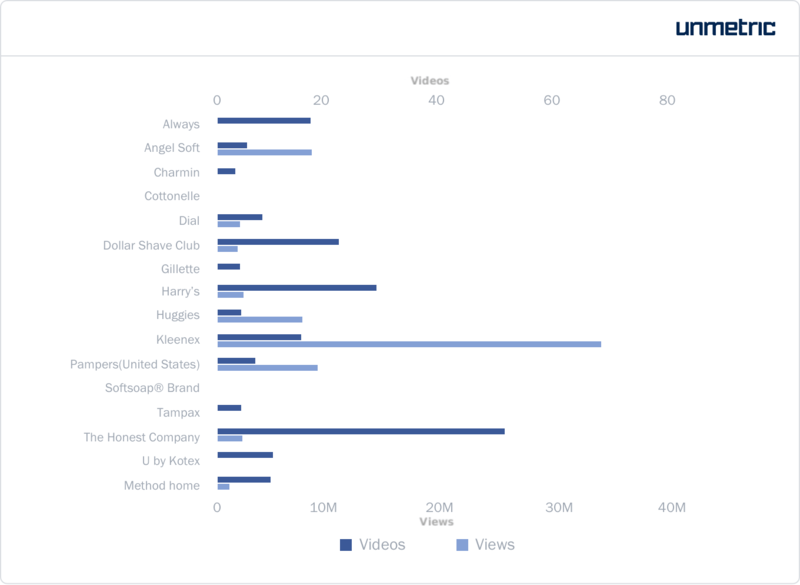 Only a tiny fraction of the posts published by the personal care brands analyzed here were videos (13%). These contributed to barely 5% of all the interactions registered. The Honest Company published the most number of videos. These also had the highest volume of video views. In addition to getting the most views, these videos brought in on average 1,227 interactions. The average interactions received per video content in this group is barely over 600. A big reason why The Honest Company’s video content does so well is because of their tie-ups with influencers. These include, apart from popular social media personalities and celebrities, publishers who have a commendable following. Give mornings a makeover with this protein-packed pudding, courtesy of @honeysucklecatering. It’s a cinch to whip up and pretty enough to serve on Valentine’s Day. | Link in bio! The Honest Company has leveraged the superfood obsession by getting a food blogger to create Buzzfeed-Tasty-like videos. The four videos that were published in association with Honey Suckle Catering generated close to 2,250 interactions each. Instagram introduced the algorithmic feed that many brands suspected to be the end of organic reach for brands on the platform. However, it is still important to grow your audience size on Instagram. If you create content that truly interests your audience and they interact with it, as we have seen with The Honest Company, the algorithm may work in your favor. Your brand will get good visibility in user feeds, leading to better engagement. You could almost call it a virtuous circle. Tailor your content according to the nature of the platform. Look at topics and formats that are popular and infuse them into your content. Similarly, know your audience and the kind of content they engage with. Create content that is extremely relevant to them. Channel influencers who are experts in your industry or have a huge following among your target audience. Make an effort to build your community size by encouraging followers to engage with your content and follow you. You can make the most out of your social presence by consulting data. Every decision, be it about the frequency of posting or what you should talk about, should be backed by data. This way you can eliminate the guesswork and streamline your social media strategy. Unmetric provides brands and agencies AI-driven insights so that they can create compelling content.